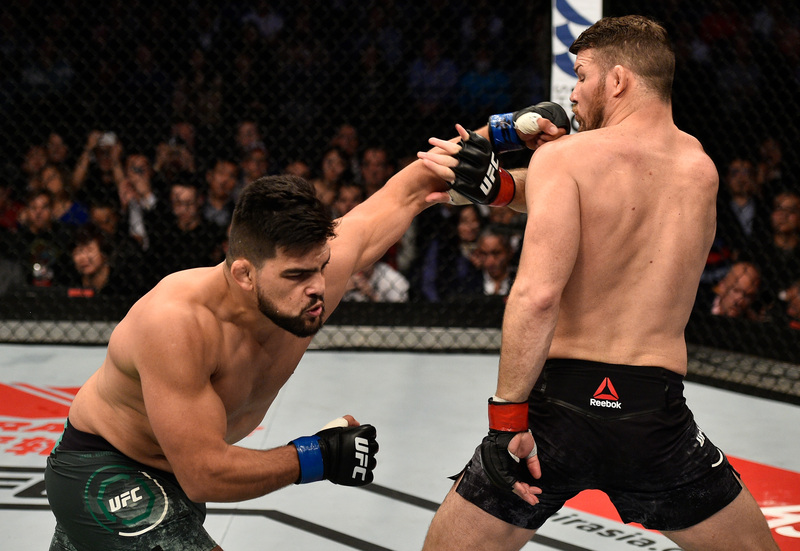 In honor of Gastelum and Adesanya's five round war for the interim Middleweight title at UFC 236, we at UFC FIGHT PASS have put together our favorite Middleweight bouts! Kelvin Gastelum vs Michael Bisping UFC Fight Night Nov 25, 2017 (13:41) Kelvin Gastelum vs Michael Bisping UFC Fight Night: Bisping vs Gastelum from November 25, 2017 in Shanghai, China. 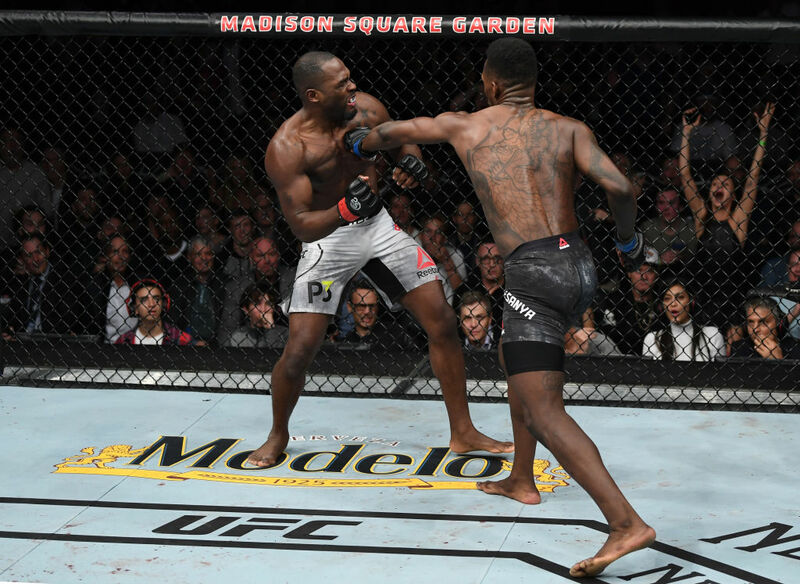 Israel Adesanya vs Derek Brunson UFC 230 Nov 3, 2018 (11:54) Israel Adesanya vs Derek Brunson at UFC 230 from November 3, 2018 in New York, USA. 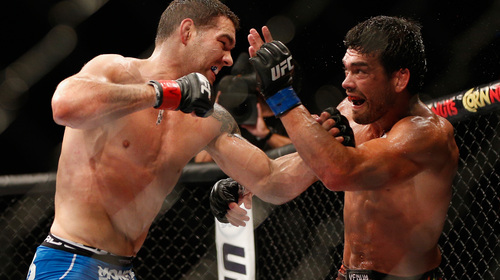 Chris Weidman vs. Lyoto Machida UFC 175 Jul 5, 2014 (44:33) UFC middleweight champion Chris Weidman aimed to defend his crown against former light heavyweight champion Lyoto 'The Dragon' Machida at UFC 175. Weidman, fresh off two finishes of future Hall of Famer Anderson Silva in 2013, would now battle Brazil's Machida, who had won two straight at 185 pounds against Mark Munoz and Gegard Mousasi. 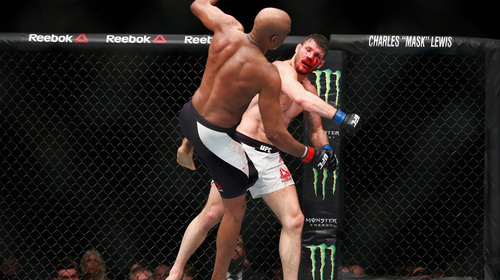 Michael Bisping vs Anderson Silva UFC Fight Night Feb 27, 2016 (54:22) Michael Bisping vs Anderson Silva at UFC Fight Night: Silva vs Bisping from February 27, 2016 in London, England. 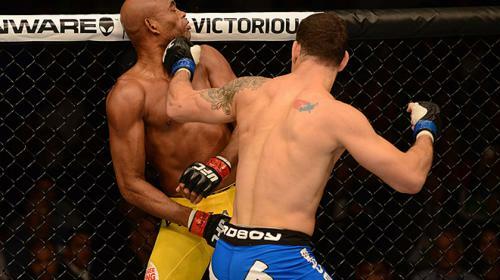 Chris Weidman vs Anderson Silva UFC 162 Jul 6, 2013 (28:37) Middleweight champion Anderson Silva returned to Brazil to ready himself at home for the toughest test of his career; meanwhile, Long Island's Chris Weidman worked day in and day out in the hopes of becoming the next UFC Middleweight champion. Dan Henderson vs. Michael Bisping UFC 100 Jul 11, 2009 (21:26) The coaches collided at UFC 100 when former PRIDE Champion and Two-time Olympian Dan Henderson faced off against the dynamic and exciting Michael 'The Count' Bisping. The Ultimate Fighter Season 9 coach that won put themselves in position for a title shot. Anderson Silva vs. Forrest Griffin UFC 101 Aug 8, 2009 (19:56) After successfully defending his title six times, UFC Middleweight Champion Anderson Silva moved up to 205 pounds in a match up against former light heavyweight champion Forrest Griffin. 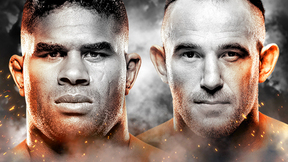 Dan Henderson vs Hector Lombard UFC 199 Jun 4, 2016 (21:19) Dan Henderson vs Hector Lombard UFC 199: Rockhold vs Bisping 2 from June 4, 2016 in Inglewood, California. 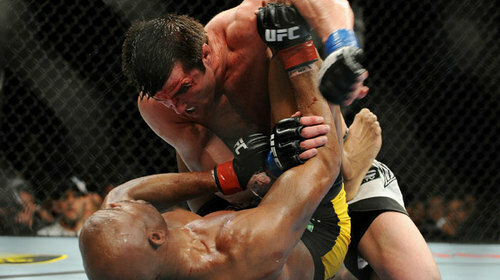 Anderson Silva vs Chael Sonnen UFC 117 Aug 7, 2010 (45:03) Middleweight contender Chael Sonnen’s mouth did not stop moving for weeks before this fight, voicing his criticisms of the champion. 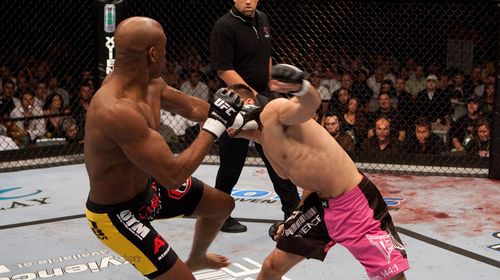 How would Chael back up his words when he entered the Octagon with Anderson Silva? Anderson Silva vs Rich Franklin UFC 64 Oct 14, 2006 (19:19) Anderson Silva pit his brilliant Muay Thai skills against UFC Middleweight Champion Rich Franklin in a fight that had the potential to rock the MMA world. 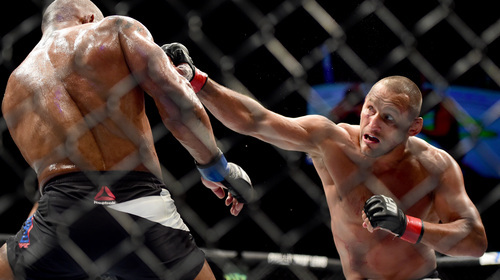 After impressing the organization in his first bout, Silva earned a shot at the two-time defending champion.